What are the Megalithic Temples of Malta? 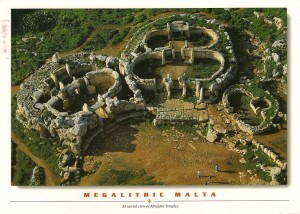 7 megalithic temples are found on Malta and Gozoislands, each one, the result of an individual progress . 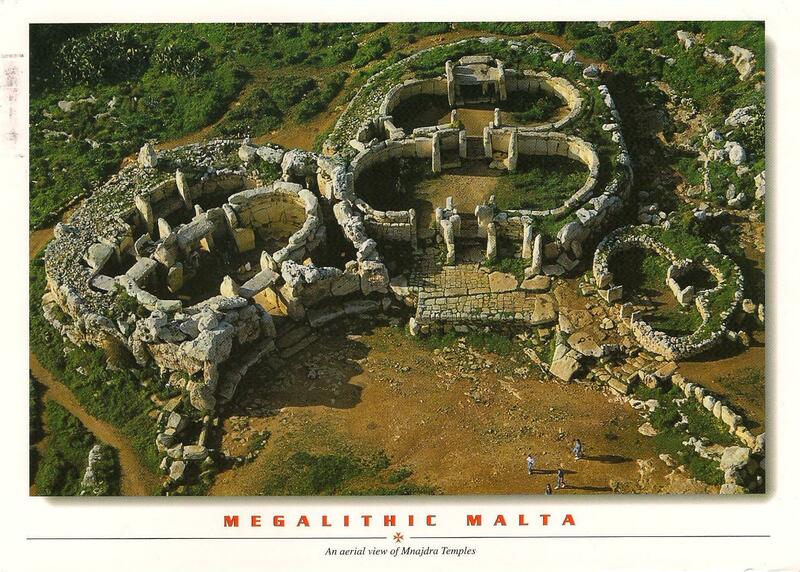 The two Ggantija temples on the island of Gozo are remarkable for their gigantic Bronze Age construction . On the Malta island, the temples of Hagar Qim , Tarxien and Mnajdra are architecturaly unique masterpieces , gave the restricted resources available to the builders . Ta’Hagrat and Skorba complexes show how was to build temples in Malta traditionally. Monuments that make up the World Heritage site is the most characteristic examples of structures and represents a major development in the cultural and artistic and technological fields . Professor Lord Renfrew (University of Cambridge ), one of the most important prehistoric today , described the group of megalithic temples on the islands of Malta and Gozo as ” the oldest standing monuments in the world.” They are also remarkable for their diversity of form and decoration. Each of these complexes is the result of individual developments , which differ greatly and joint plan , also the construction techniques from Ggantija and to each other side. Hagar Qim was excavated from the early XIX century and found several statues figurines fat, including “Venus of Malta”. On the outside of the north flank of Hagar Qim is an outdoor altar whose face combines evocative symbols for male and female. There is also an altar with four unique sides. Different facades of the temple have been interpreted as symbolically representing the male and female reproductive organs. There is an astrological alignment – with the sunrise. All temples, including Tas – Silg and Borg in – Nadur and have kept their religious function during successive Maltese ages. Maltese folklore describes giants who built temples, which led to the name Ggantija Malta linguist Joseph Aquilina believes that Mnajdra was diminutive ” Mandra “, which means a parcel of land planted with trees grown “. Tarxien temples owe their name locality where they were found (from Tirix, which means a sea. Coal found in the site was crucial in the dating Skorba Temple. Temples were the result of several stages of construction from about 3000-2200 BC, there is evidence of human activity in the islands in the early Neolithic (ca. 5000 BC), pottery shards, charred remains of fire and blood. Sir Temi Zammit, a Maltese archaeologist eminent of XIX – century, dated the temples to 2800 BC Neolithic and Tarxien culture in Bronze Age to 2000 BC. Ggantija is a complex of two megalithic temples on the island of Gozo in Malta. Stone temples were built around 3600 BC , which makes them the second oldest monument in the world after Göbekli Tepe . At that time , there were no metal tools and the wheel was not invented . It is believed that the temple would have been a cult of fertility because statues and figurines discovered there were associated . No one knows why they were built these temples . Being among the megalithic temples of the Maltese archipelago outstanding ensemble Ggantija prehistoric island Gozo can be compared with the three major temples of the island of Malta : Mnajdra , Hagar Qim and Tarxien . Ggantija temples plan consists of two multi- foil. Temple south with two elliptical cells , is the oldest temple north , which is small in size , is more recent , although no later than 2200 BC. Ensemble of Ggantija which serves as a archaeological reference (3000-2200 BC ) is one of the most important periods in Maltese Bronze Age . The complex structure of Ggantija cultural group is in excellent state of preservation as is a great testament prehistoric megalithic art. Both temples Ta ‘?a?rat and Skorba are especially significant in terms of the information they provide on the development of temple tradition in Malta. They are so essential to the correct understanding of the art of building temples in Malta. These structures on the island of Gozo, as well as those of Hagiar Kim and other places in Malta, lead us to the assumption that the Maltese islands were, behind five or six millenniums, community well organized filing jointly work time; lifted tree trunks probably used in the form of levers and rollers to transport wood and stone beads. Such stone spheres found in many Maltese megalithic ruins, until now seen printed deep into the ground of limestone trail “wheels cart” as the locals say, and are no more than traces of those spherical stones designed to facilitate the transport of huge stone megaliths. It is possible that the stone balls to be the origin of its form primitive wheel, although newer researchers tend to believe that wheel first appeared in potters workshops or, either as a device as an annex of the plow. Hypogeum (“burial chamber”), is located on the island of Malta. Here, 5600 years ago, workers have carved stone age a gap in the rock, modeling inside a complex on three levels. Covering a total of about 5,400 square meters with a level extending down about 35 feet, Hypogeum was discovered accidentally in 1902 near the center of Paola. Someone build a house on top of it and dug up the underground space and started using it as a storage place for debris.